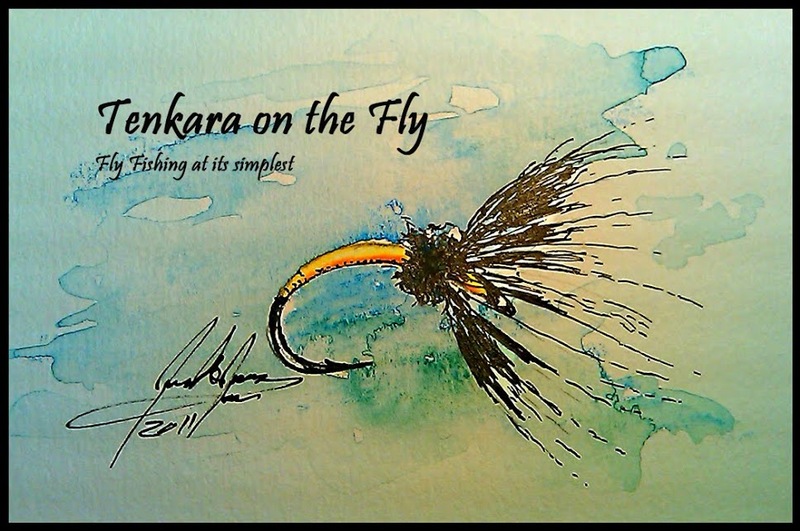 Back in Town and a video "Intro to Tenkara"
Yes, I am still here, I know it has been a while. My dad-in-law passed away early May and I went to Atlanta to be with my family and to make life a bit easier for my wife and her mom. We got back last Monday and I thought it would be nice to take a mental health day to get some alone time. Anyway, Friday was one of those days where you couldn't do anything wrong, they would hit almost anything. I only fished with Tenkarabum's Killer Kebari, dead-drift, swing & twitch and it all worked beautifully. I also broke in the new hand-tied tapered fluorocarbon line of Tenkarabum which is to me the best compromise between a traditional furled and level line. I will be giving this line more thought and testing over the next few weeks, I have high hopes. On Saturday, I had special plans with my new friend Steve Schweitzer, author of A Fly Fishing Guide to Rocky Mountain National Park and co-founder of Global Fly Fisher. I met Steve a while back at one of his book signings and I talked him into trying Tenkara. Well, he wanted to do a short video introduction to Tenkara for his website and so we did. It was a beautiful day, sunny, still some high water and breezy at times. But fishing was much tougher than the day before, only towards the end of day started we picking-up fish consistently. One note: the fly referred to in the video is not (Sawyer's) Killer Bug but the Killer Kebari, a variation tied by Chris Stewart of Tenkarabum. We had a blast doing this video and I am looking forward to our next outing, hopefully to Rocky Mountain National Park. Tight Lines and get out there and fish.